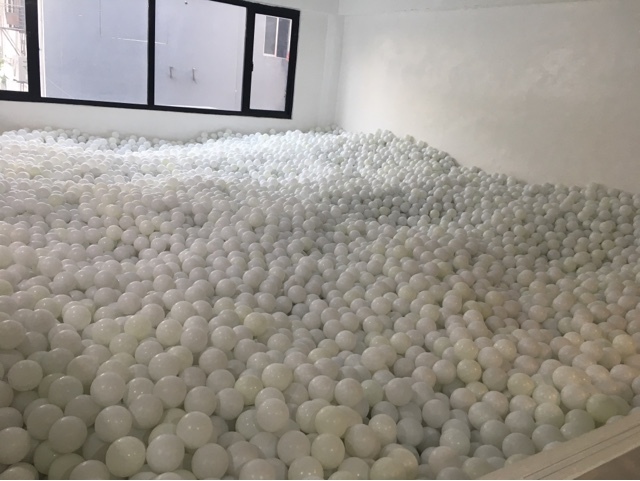 Thanks to a free pass for Ball Pit Manila (more details posted elsewhere :), my inner child had never been more satisfied. It was fun, really fun to play in a ball pit made for kids (at heart). Imagine jumping up and down in a box full of 80,000 balls?! It's definitely exciting, heart pumping yet still relaxing afterwards. It's a good way to de-stress without leaving the metro. 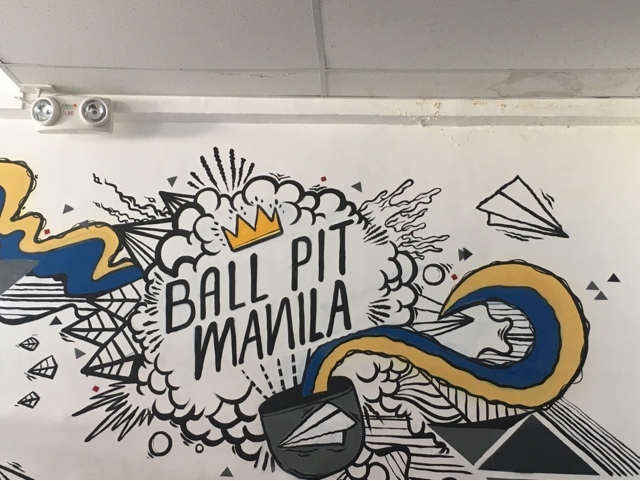 Ball Pit Manila is located in Makati City. 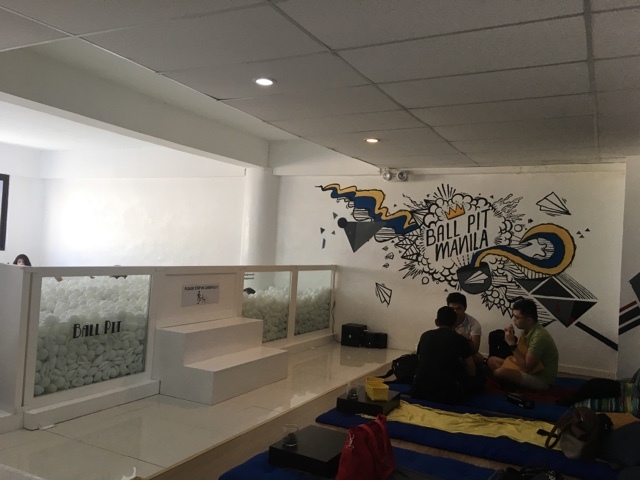 The place is ideal for corporate team building events (although the number of participants can be limited), parties, hanging out with friends and family, and even for themed photo shoots. But the fun isn't limited to the ball pit itself. There's Wi-Fi and food. The usual ticket price (299 pesos) even comes with a free drink of coffee or iced tea (note that this pricing is available for reservations only and not walk-in). You can also save more for packages or score discounted passes from Ball Pit Manila itself or from other sites. I've seen deals as low as 199 pesos in Metrodeal (subject to terms and conditions though).